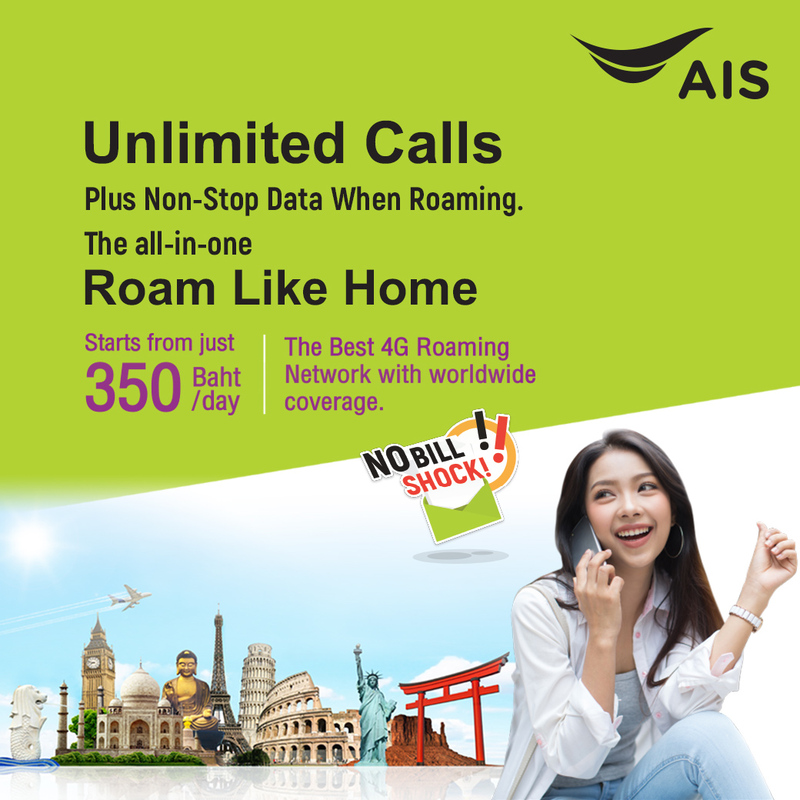 Select your destination to find the best offering of AIS Roaming Package. Non-Stop Internet: SIM2Fly Asia & Australia 399 Baht for 8 days and SIM2Fly Global 899 Baht for 15 days. Available for AIS and non-AIS customers. Non-Stop internet starts only 150 Baht/day. WiFi sharable with up to 10 devices. Peace of mind, Travel with care from AIS CALL CENTER. Available for AIS and non-AIS customers.